Being an Exchange Server Administrator is challenging for a person as there are multiple threats which loom over the Exchange server environment all the time. 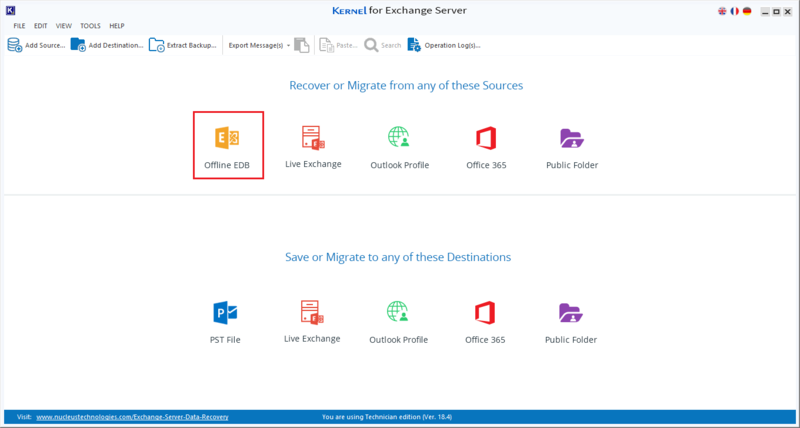 Exchange database has all the user mailboxes of the organization, and that is why it becomes so vital to have a disaster recovery plan in case the Exchange Server faces any problem. Identifying the common threats and rectifying them is the core of a disaster recovery plan; it also includes the restoration of deleted or corrupt mailboxes. 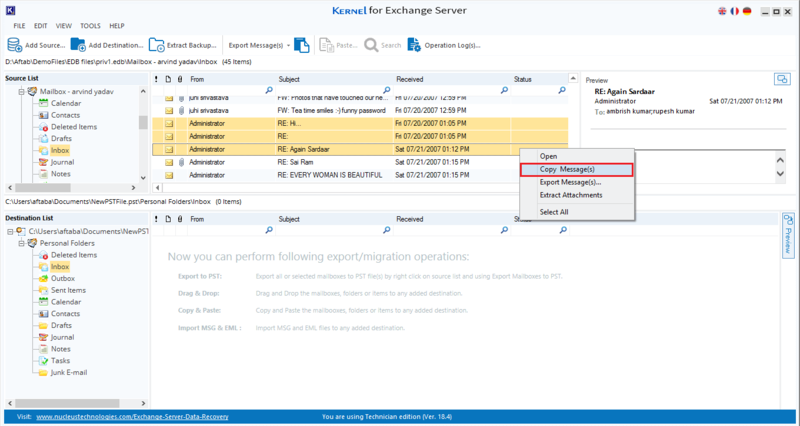 Whenever an Exchange server faces a crash, the natural option of the Exchange Administrator is to retrieve the data from the backup. But backup may not be having the complete data always. Also, it may take too much time in making the mailboxes accessible again. That is why the first attempt should be to restore the mail flow. Before committing changes to the database, they are written to the transaction log file which is a sequential set of logs. When all the logs are committed to a database, then the database is in a consistent state. Such a database is ready to get mounted on the Exchange Server. A database should be in a consistent state if you want to mount it on the server. But when all the changes are not committed, the database is in an inconsistent state. Such a database cannot be mounted. So, if you are not able to mount a database, you should bring it back to a consistent state. Save the transaction log files in RAID volume. Increase the retention settings under the data retention policy. Increase the deleted mailbox retention under data retention policy. Running a mock drill of an Exchange server disaster will help you in earning some valuable inputs and make you prepare for an actual emergency. You can also get to know that whether your recovery methods are efficient enough to recover the data. 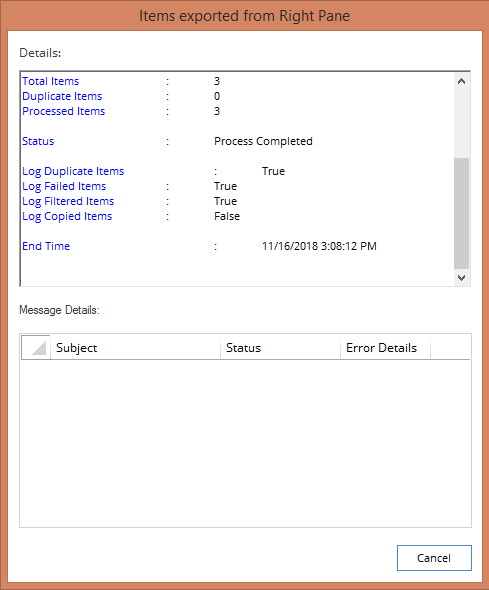 There are some inbuilt features in Exchange Server to repair a corrupt database. You can use these tools in case of severe issues. The most popular one is ESEUTIL which is a command-line tool that uses the transaction log files to recover the data and restore it to its previous state. How to use ESEUTIL tool? Defragmentation allows the administrator to reorganize the database in a completely new order. It improves the performance of exchange mailboxes. After running the command, you will be asked to confirm your selection by clicking “Y” to dismount the database. Step -2: Repair the corrupt database. Before repairing the database, it is wise to take a secure backup of the database in case the command does not work properly or data is lost. After this, you can check the status of the database. If it shows a clean status, then you can mount the database. If the normal repair with the Eseutil does not recover the data, then you can go for the hard repair option. But it is advisable only in some extreme situations, as the hard repair can further delete the data. 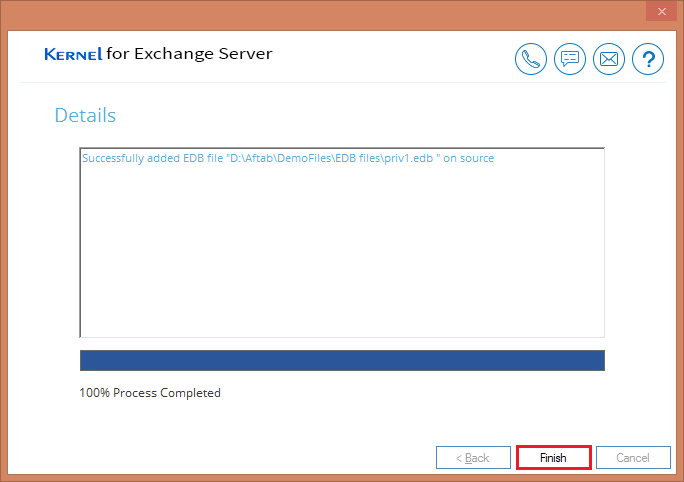 Step – 4: After completing the repairing process, mount the database back to Exchange server. Although ESEUTIL is quite famous among Exchange Administrators, it is not always successful in repairing the database completely, and there is no way to recover the deleted data. To get the complete data in the proper structure and format, you can take the help of a professional tool. 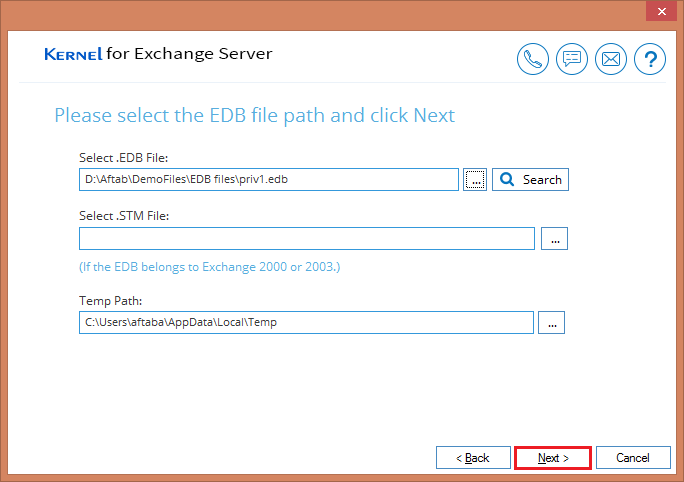 Run the software and select the first option of Offline EDB. 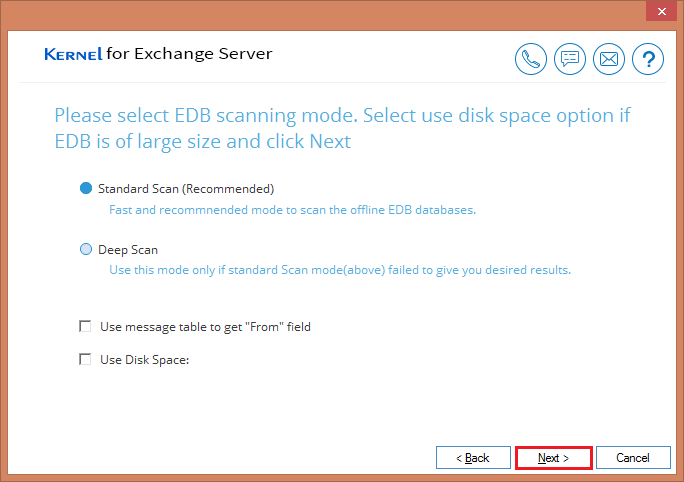 Select the first option of Offline EDB file and click Next. Browse the corrupt EDB file. If you are unaware of the database file, then you can choose to Search it from any drive or folder. Select the scan mode as per the corruption. The Standard Scan is selected by default. Click Next. Wait till the EDB file gets added as the source. The database file gets listed in a proper tree structure where you can find any mailbox and see its content by clicking the Preview button. After watching the preview, click PST file option to create a new Outlook file. 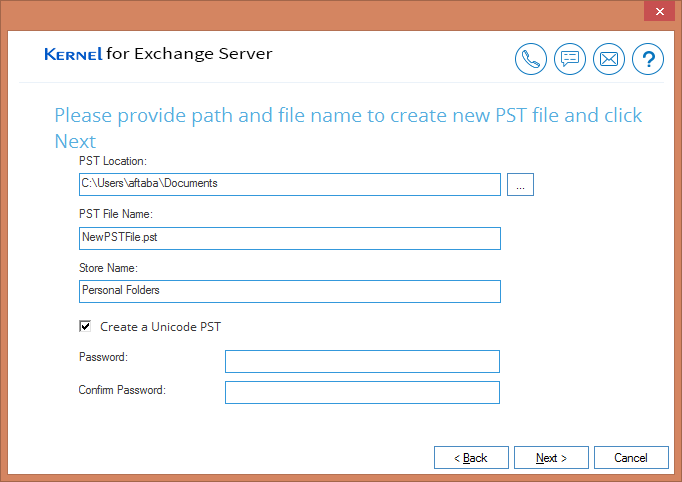 Select the option either to create new PST file or save in an existing PST file. Then click Next. Provide the destination and also enter a name for the file. 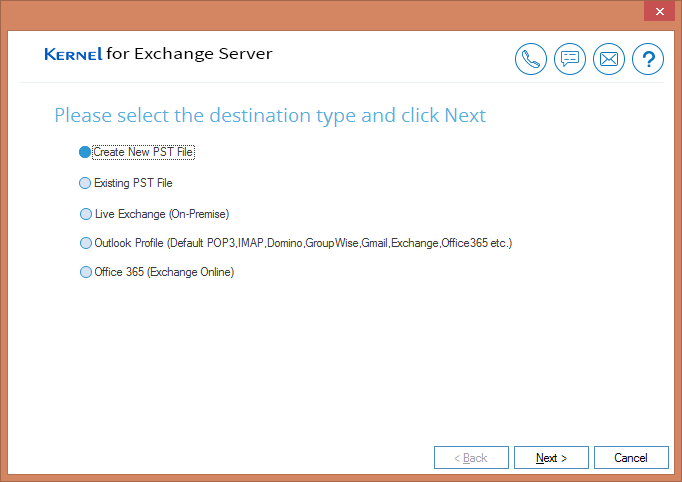 A new Outlook PST file is now created in the destination. 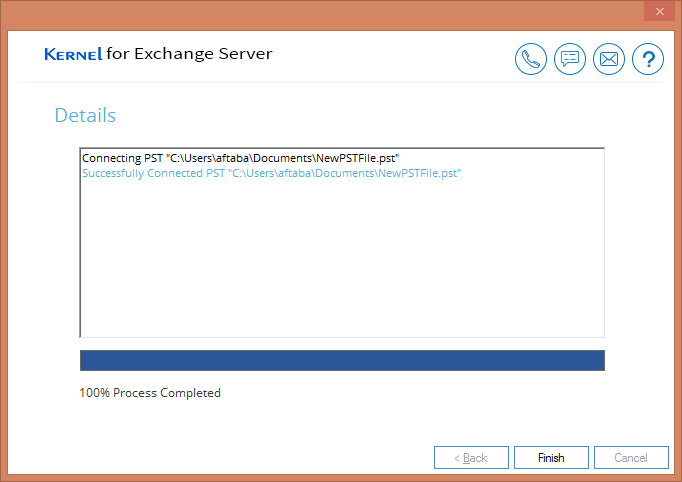 After creating a new PST file, you can easily export the message from a source to destination by copy-paste, drag-&-drop, or copy-paste folder. After exporting the message, the tool will provide a complete report to you. The exported files are efficiently saved at the destination. 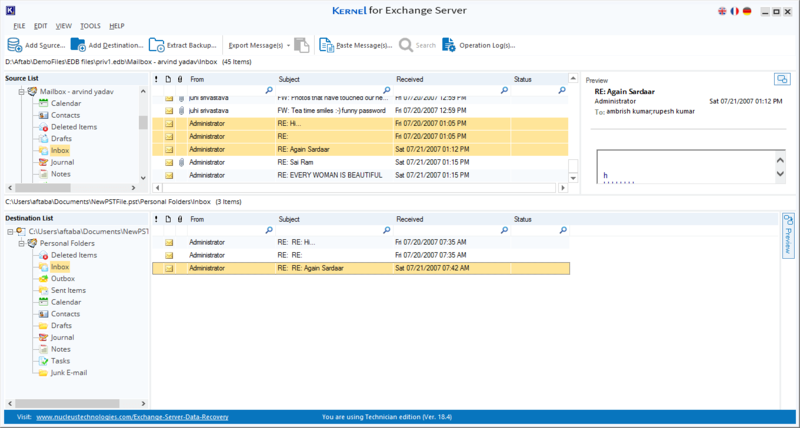 After getting complete information about Exchange server corruption and various recovery methods, you can choose a proper method in case of Exchange Server disaster. 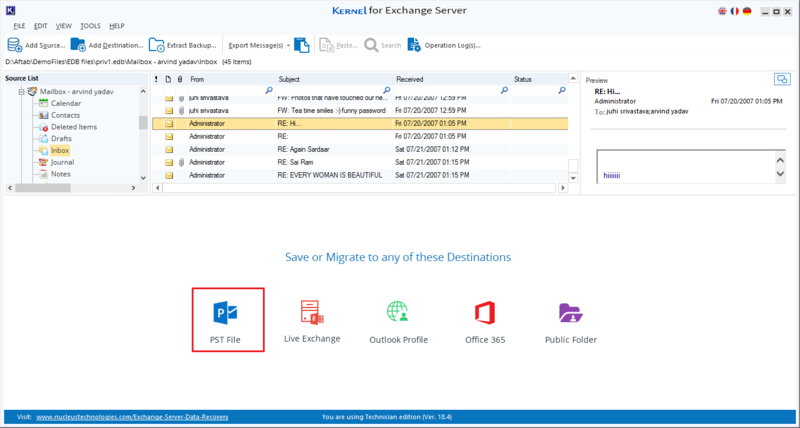 But if you want to get your data back in the minimum time and with complete health, then you should go for Kernel for Exchange Server Recovery tool. 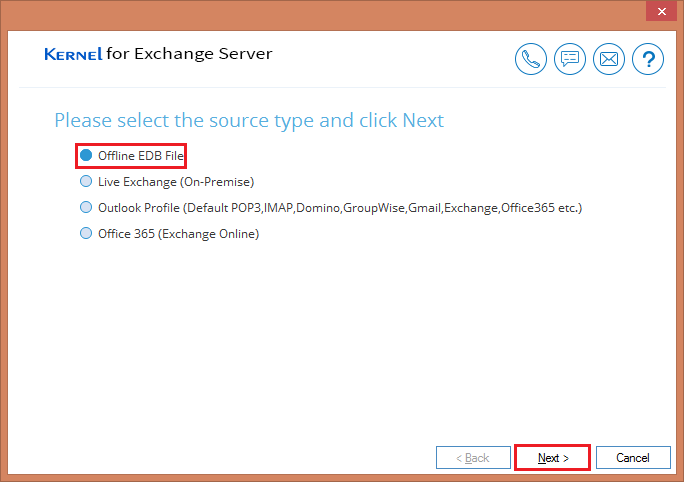 It accepts EDB file as the source and saves the recovered mailboxes EDB to PST files, live Exchange, Outlook, Office 365, and Public Folder.